This year’s Golden Week holidays offer a chance to travel back to the Edo Period, the key formative years in Japanese history from 1603 to 1868. And to do so, you won’t need a time machine! 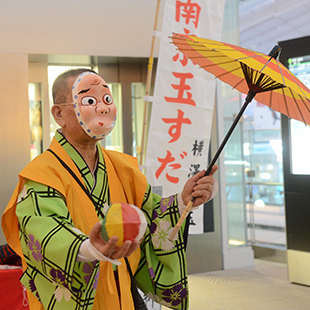 Haneda Airport’s International Terminal will host the Haneda Edo Festival from Saturday, May 2 to Monday, May 4. For three days the fourth and fifth floors of the international terminal will be fully transformed into an Edo village. 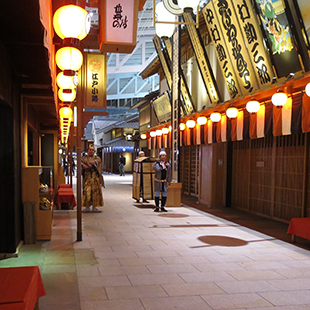 Visitors can experience traditional Edo style through ennichi street fair games, colorful, interactive street performers, and many more festivities. A large koinobori (carp streamer) greets guests as they enter the terminal. This traditional decoration corresponds with Children’s Day (May 5) and is flown across Japan in honor of boys. Once in the heart of the festival, visitors are transported to the Edo Period through the lively atmosphere of traditional decorations and old-style stalls. You may even see ninjas or samurai walking among other festival goers. 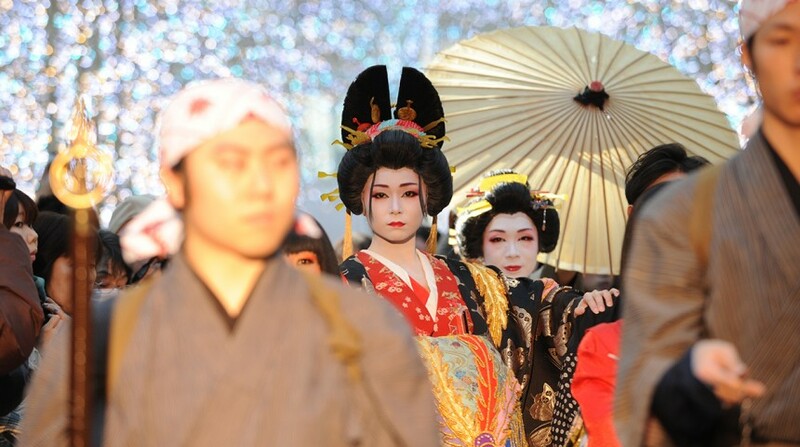 Cast members wandering around in full costume and makeup bring the festival to life as they interact with guests using the language of the Edo Period. Visitors are also encouraged to dress up, and special gifts will be handed out to those who come in costume! Even if you forget your kimono or ninja garb, the photo corner has props and clothes that allow you to completely get into character! The centerpiece of the festival is a large stage that boasts a variety of musical, dance, and theatrical performances throughout the day. Don’t miss the oiran-dochu, a procession of courtesans gracefully parading in 15cm-high geta sandals. 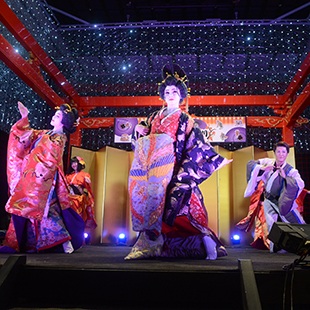 These are professional performers from Kaguwa, a Japanese entertainment-show restaurant in Roppongi. 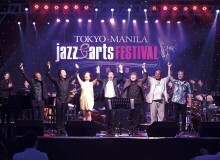 Live musical performances also showcase traditional Japanese instruments, and a comedic sketch show calls upon audience members to participate in creating an exciting, interactive performance. As you walk through the festival, you may also stumble upon spontaneous street performances, including umbrella and plate spinning, Edo-style storytelling, and nankin-tamasudare, a visual production in which woven sticks are thrown in the air accompanied by rhythmic poetry. Families can also fully enjoy this event with many kid-friendly activities. The “Edo Play Corner” allows children to experience toys and games of that era, including karuta card games and a sword and ball game called kendama, while interacting with members of the cast. Terakoya Craft Workshops, held in a booth made to look like the schoolhouses of the era, teach kids origami and other crafts. Game booths line the ennichi street, filled with enticing old-time activities such as flinging shuriken (throwing stars) and jumbo paper sumo wrestling. In collaboration with the restaurants and shops in the international terminal, guests receive a free game ticket for every ¥500 spent. Another exciting event is the ongoing search for the “missing person.” Signs and pamphlets posted around the venue show pictures of this person, and a prize is given to those who spot him! Additionally, a ninja stamp rally sends guests in search of stations located around the festival in a quest to collect all the stamps. Those who find them all receive a gift, and a special mystery prize is given to those who attend all three days and gather the daily stamps. For those traveling through Haneda for Golden Week, this event is truly worth arriving at the airport a few hours early. 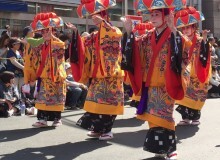 Even for those staying in the Tokyo area, this is a perfect day activity, full of Japanese culture, traditional performances, and interactive events. 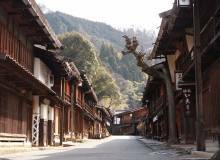 Make some time during your Golden Week holiday for an unforgettable Edo experience!